Feedback on the recent June Key Leaders event was very positive with nearly 60% of attendees responding. Over 75% of respondents agreed or strongly agreed the various content pieces were meaningful and relevant to them! Planners hoped two gentle messages emerged from the day. First, knowledge is not the same as understanding: we must begin to practice our knowledge of what people in trauma need; and second, resiliency is not a trait, it’s a process. Resiliency building starts with calming ourselves, and applying some basic psychological C P R (Calming and Connecting; Practicing Patience & Posing Empathetic Questions; Restoring Relationship and Resources). Thirty-two people responded to the question “What is the one thing you are thinking about differently or doing differently since the June Key Leader event.” Of those, fully 25% mentioned being more mindful and taking time out of their day to be intentional about breathing to create internal calm. Many respondents made mention of moving or wanting to now move their trauma-informed awareness into practice. People are eager to see clients, staff, and whole systems become more resilient and even flourish in the face of adversity and stress. Many thanks to all who attended the event and provided feedback on our survey. Certainly, we have much work to do going forward to both improve content delivery and insure content relevancy to the many stakeholders we serve, but we’re ready to take on the challenge. Planning for the October event is already underway with a focus on delivering breakout sessions on specific resiliency subjects such “Creating Trauma Informed Policies and Practices in the Workplace”; “Creating a Sense of Community”; “Parenting to Build Resiliency”; and, “How to Foster Optimism in Children and Adults” . If you know of an engaging, local expert in one of these areas who might like to present at our October event, please contact the Southern Oregon Success office 541-776-6766 or e-mail Debbie atdvought@SouthernOregonSuccess.org . Teaching $5 words like “neuroplasticity” and “mindfulness” to elementary school children may seem like a stretch, but that’s just what an innovative school across the country in New York’s South Bronx has set out to do. Drawing on the Adverse Childhood Experiences (ACEs) Study, Principal Scott Wolfson at Fairmont School is determined to create a calm, trauma-informed, and resiliency-building environment for his students. It won’t be easy, given nearly 50% of his students live in households making less than $25,000 a year, live in single parent homes, and have high ACE scores. Only 10% meet English Language benchmarks and 8% meet Math benchmarks. Recognizing “no man is an island,” Wolfson reached out to community partners like Dr. Pamela Cantor, founder of the non-profit Turnaround for Children. Together they’ve designed a recipe for creating a trauma-informed school that includes teaching in teams, focusing on “growth mindset” and above all creating a climate of calm, structure, consistency and respect. The principal has also instituted daily mindfulness meditations after lunch for the students and plenty of professional development in trauma-informed practices for his staff. BRENT BARRY JOINS OUR STEERING COMMITTEE We want to express our gratitude and best wishes to Teresa Sayre, the recently retired superintendent of the Phoenix/Talent School District, who is also retiring from the Southern Oregon Success Steering Committee. Teresa has been instrumental in the development of our regional collaboration over the past several years. She has been part of the work, she reports, from back when former SOESD Superintendent Scott Perry was using chocolate to bribe people to come to planning meetings. Under Teresa’s leadership, her school district has become a leader in student-centered approaches and the development of community resources. The Phoenix/Talent efforts have inspired work by Southern Oregon Success across sectors, and Teresa has also personally helped develop our Youth Development Work Group (YDWG). The YDWG meets monthly to increase collaborations within school/community partnerships. We’re glad to be able to announce that Teresa’s successor at Phoenix/Talent, Brent Barry, has also agreed to be her successor on the Southern Oregon Success Steering Committee. Brent, who has served as vice principal and athletic director at Phoenix High, as principal of Orchard Hill Elementary School, and as an assistant superintendent for the district, will be joining two other school district superintendents, Brian Shumate of Medford School District and Kirk Kolb of the Grants Pass School District, on the Steering Committee. The committee also includes representatives from the Early Learning Hub, the SOESD, RCC, SOU, all three of our Collaborative Care Organizations, human service providers, public safety and workforce development. 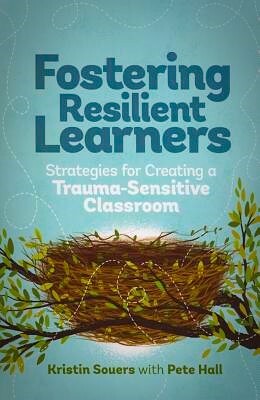 The delivery of trauma-informed and resiliency-building practices may certainly look different from place to place, school to school. There’s no denying, however, the power of social support: some quality mentoring, coaching or even just a community of believers consistently reminding a vulnerable person, you got this, and we got you! 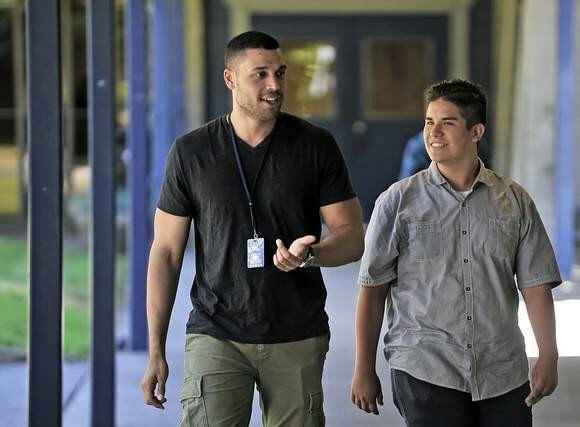 Though he credits peer pressure with helping to motivate failing Eagle Point High School students to stay on track to graduate, it’s no secret that Graduation Coach Robert Joe is the driving force behind the success of a new pilot project at the school. A handful of Southern Oregon Success’ community partners recently attended the National Association of Restorative Justice Conference in Oakland, California, from June 15 through 18. They heard from key leaders and visionaries around the country about the ways restorative justice principles and values are being applied and integrated into community settings throughout the nation and world.Illinois State Representative and Director of the Center for Public Safety and Justice at the University of Illinois, Julianna Stratton, joined other high profile visionaries at the event to discuss how communities are examining justice issues and prioritizing resources to ensure that their communities are equitable, trauma informed, inclusive, and relationally focused. Community leaders in Chicago, for instance, are making time and space to bring residents who have cycled through the criminal justice system into conversation circles with law enforcement and public safety stakeholders. Within these guided, safe spaces, participants address conflict, build trust and forge relationships. Respect, listening, truth telling, and a spirit of inquiry and non-judgement inform the work. Using these trauma-informed practices of creating emotionally safe spaces for respectful dialogue and collaborative problem solving, participants are being inspired to improve policies and practices. A partnership between Chicago Police and the YMCA is reaching out in a similar way to youth in the neighborhoods. Trained in collaborative problem solving, as well as in how to facilitate peace circles, the police work to foster understanding, build relationships with young people, and thereby strengthen public safety. Addressing trauma, healing the harm, accepting responsibility for doing so together is creating a sense of safety and belonging that is changing lives in Chicago and around the country. Great inspiration for our ongoing work here in Southern Oregon! STAY TUNED FOR INFORMATION ON AN UPCOMING WORLD PREMIERE SHOWING IN SEPTEMBER OF THE FILM “HEALING JUSTICE: CULTIVATING A WORLD OF BELONGING” and for more about THE NORTHWEST JUSTICE FORUM ON MAY 8,9,10, 2018, AT SOUTHERN OREGON UNIVERSITY! Traumatized individuals have the potential to misinterpret neutral and non-dangerous stimuli as dangerous. We are being “trauma wise” to remember this when viewing difficult, challenging or reactive behavior through a trauma-informed lens. When around traumatized teenagers, especially, people often perceive these adolescents as being intentionally rude, aggressive, or disrespectful when they may actually be unconsciously defending themselves against further trauma. A little “mindfulness” around being slow to judge will surely support us on our journey towards putting trauma-informed awareness into practice. OREGONIn recent years, the number of children in poverty, children whose parents lack secure employment, and children living in households with a high housing cost burden have all declined in Oregon. While this is very good news, one in five children remain in poverty. Over one in three Oregon kids live in households that struggle to pay rent. 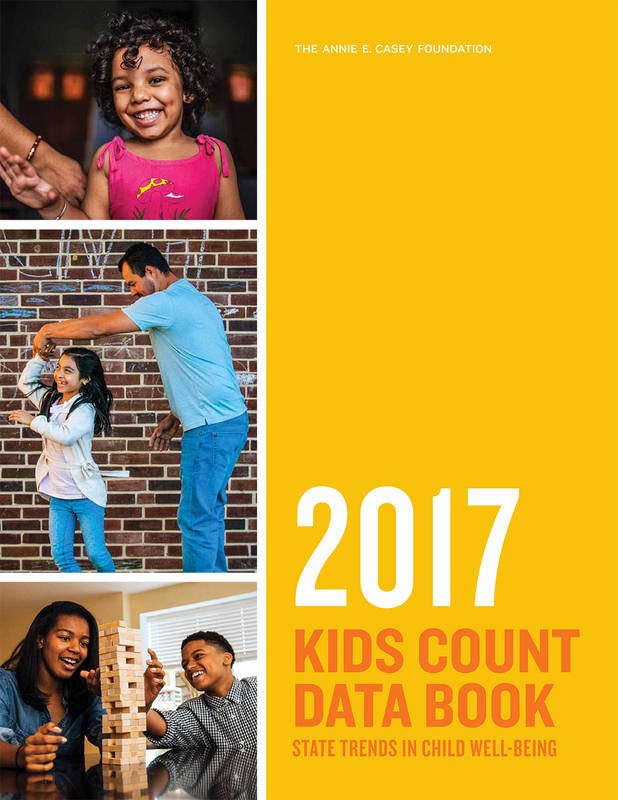 All this is according to the 2017 KIDS COUNT Data Book released last month by the Annie E. Casey Foundation.Oregon has fallen behind a majority of states in the welfare of children, ranking 31st in overall child well-being nationally. Clearly, we have work left to do in our efforts to address the issues that impede our citizens, children and families, on the path to prosperity and wellness. At Southern Oregon Success, we are dedicated to working with community partners in ways that leverage our resources and talents to promote the health, academic and life success of our children youth and families. This work is both an economic and moral imperative!